Near the end of the Cretaceous period, a very rare group of dinosaurs appeared. Scientists have called them troodontids. Although their body design was similar to the ornitho-mimosaurs, they were a distinct group of theropods. Troodontids had large brains for their body size. This, coupled with well-developed senses, has given them the reputation as the most intelligent of the dinosaurs. The best-known troodontid is Troodon. 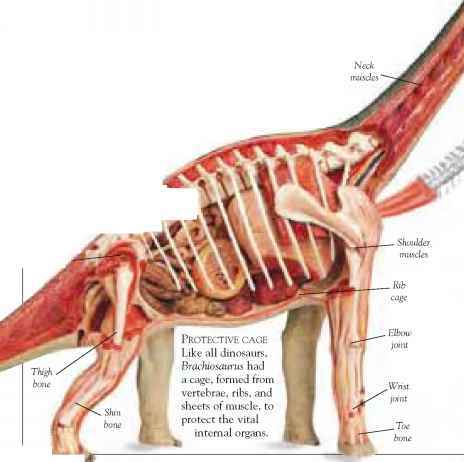 It had a light and delicate skeleton with slim rear limbs. Troodontid fossils are rare, partly because their thin bones were not easily preserved. Sharp edge Troodon had a long, narrow mouth lined with curved and serrated bladelike teeth. Troodon could run very fast on its long back legs. It probably chased small prey such as insects, small mammals, lizards, and baby dinosaurs. Night sight Troodon's large brain controlled its fast movement, good hearing, and excellent eyesight. Large, forward-facing eyes could focus on prey and, like today's bushbaby, may have helped Troodon see at night. Like troodon Saurornithoides was very similar to Troodon. It has been found only in Mongolia. • The name Troodontid means "wounding tooth." 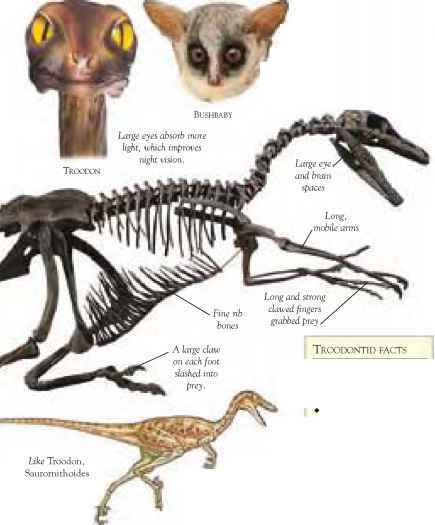 Only three kinds of troodontid are known -Troodon, Borogovia, and Saurornithoides. • All that scientists knew of Troodon for several years was a single tooth. What are the name mean troodontids?